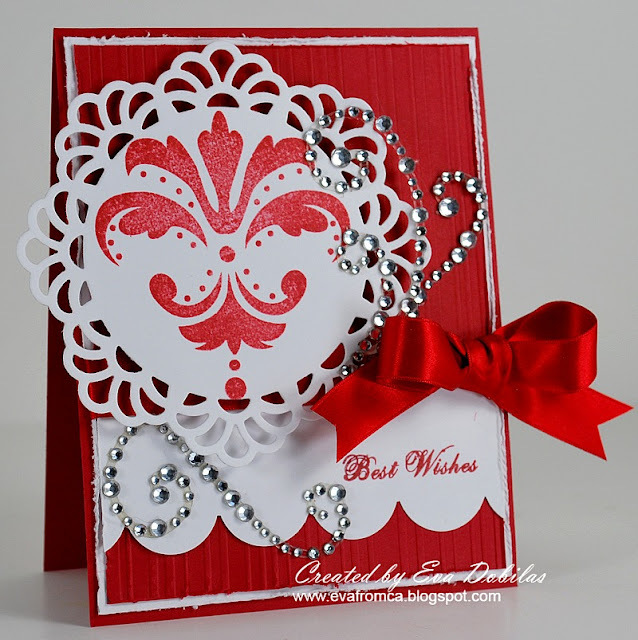 For Scrap-Mart Blog Hop scroll down! Today Caardvarks is releasing it's last challenge. Yes, you read it right, it is our last challenge, and I bring this to you with a very heavy heart, just as it was a hard decision for Jenyfur to make as well. I am so grateful that I got to be part of this amazing 4 years journey, well, the last year for me. I got to design along with some AMAZING designers, and we were sponsored by the most AMAZING manufacturers! I want to THANK Jenyfur for her continuous hard work on organizing each challenge, I know it had to be a lot of work and also for the opportunities for us to play and create with all the fabulous products. I have to say this past year has been such a fun year, so many opportunities came to me personally because I was on the Caardvarks team. And I thought I would recollect them here in this bittersweet post. In May of this year a huge dream of mine came true, and I got to guest design for JustRite Stampers, I really adore their stamps and love Sharon and Kellie. I am looking forward to working with them in the future as well! In June I was given an opportunity by sweet Nicki of Clear and Simple Stamps to be on her IPhone App Design Team, which I took happily and it has been such a pleasure to design for and work with Nicki! As you can see, I AM VERY GRATEFUL!!!!! I can honestly say, Caardvarks has been the most fun design team, as we got to play with different style companies and it was a great challenge every time to see what fits my style most and I thoroughly enjoyed taking those challenges on! Well, that is it for me today. Thank you again Jenyfur for letting me be part of your amazing Design Team! Now, if you haven't been to Caardvarks yet, run over and check out the fun challenge we have for you and it will be up all month, so this time you have a whole month to create and have a chance to win a Gift Certificate to Clear and Simple Stamp!